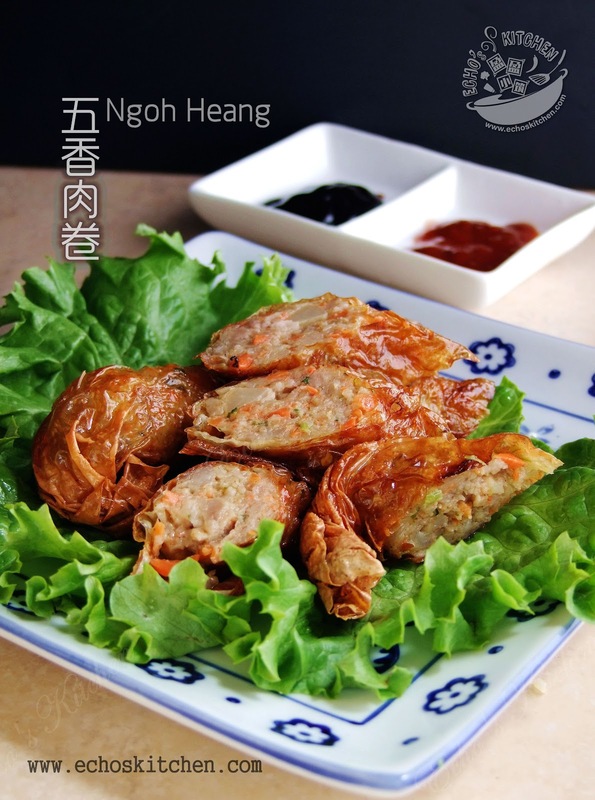 This meat roll in bean curd skin is a common Chinese New Year dish back home. There will be housewives making it at home and sell in advance weeks before chinese New Year, mom will buy from her friends and keep it in the freezer. We will thaw a few of this rolls and fry it before reunion dinner, it takes a very short time to turn it into another good looking and delicious reunion dinner dish! 1. Blend together lean and fat ground pork and season with all seasoning, marinate for 30 minutes. 2. Meanwhile, peel carrots and shallots, coarsely chop all vegetables using a chopper. 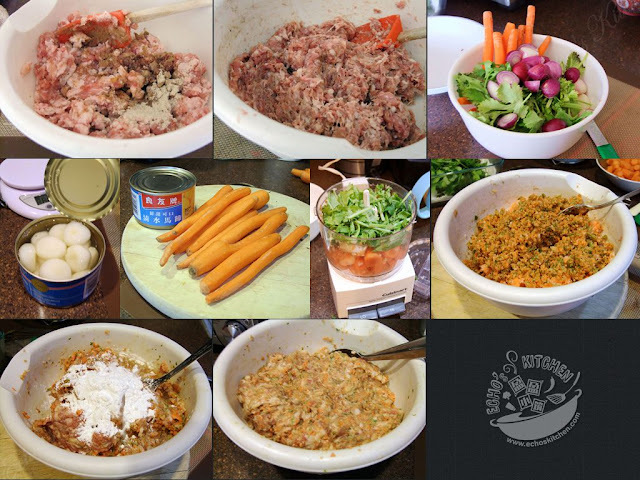 Mix chopped vegetables, eggs and corn/tapioca starch with ground meat using hand, by wearing disposable glove. 3. 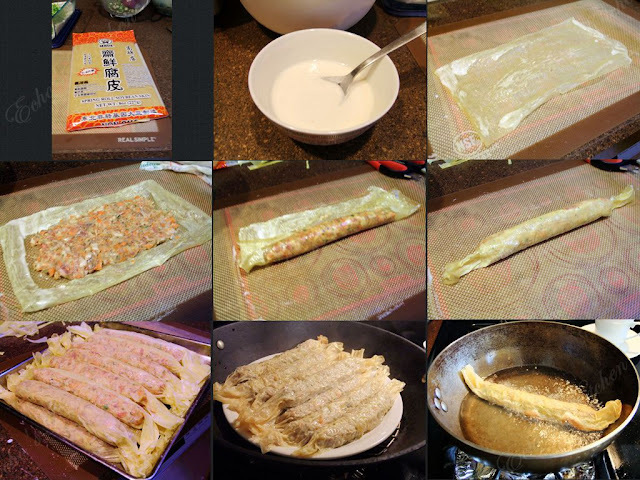 Wipe bean curd skin on both sides with a slightly damp clean cloth to softened bean curd skin and cut it into 9 x 5 inches. 4. 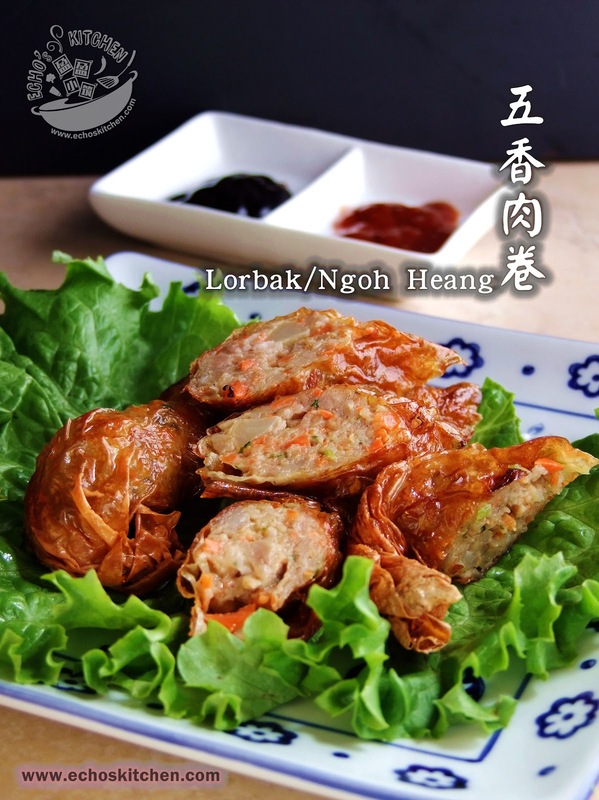 Mix 1 tbsp of all purpose flour with 3 tbsp of water to form a thick batter, use it to seal the bean curd skin. (You can also use some egg white for this purpose). 5. Dab the side edges of bean curd skin with batter, place around 3 tbsp of ground meat over bean curd skin, leave some gap all over the skin. Fold the ground meat tightly to form a roll. Press the edges of bean curd together to seal the roll. 6. Steam the rolls in a steamer over high heat for 8-10 minutes, let cool and refrigerate, if not use immediately, freeze the rolls. 7. Thaw the rolls before serving, fry the rolls at medium until golden brown in color. 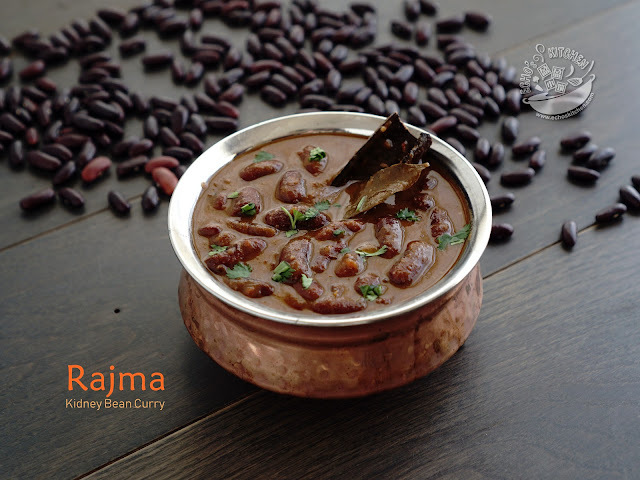 It goes well with beer too!